Welcome to the Archetypal World of Hikaru ! You can browse and purchase the artworks in the gallery and/or commission Hikaru to create the one of a kind painting/drawing just for you! 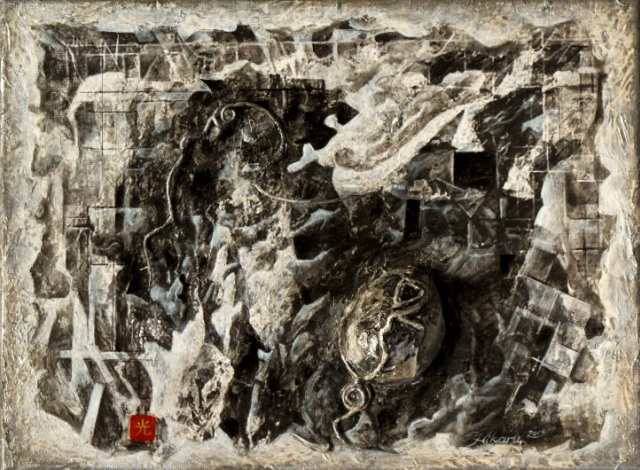 If you are interested in viewing his abstract works, please use the navigation bar to the left and click on the "paintings: abstract, etc". A part of Hikaru's research on Leonardo da Vinci was featured in the most recent article by Artwatch UK! 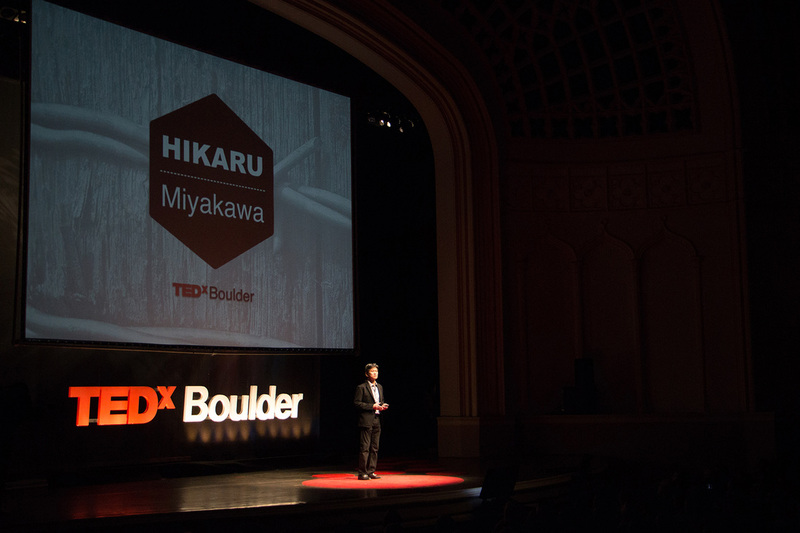 Hikaru giving presentation at TEDxBoulder ! 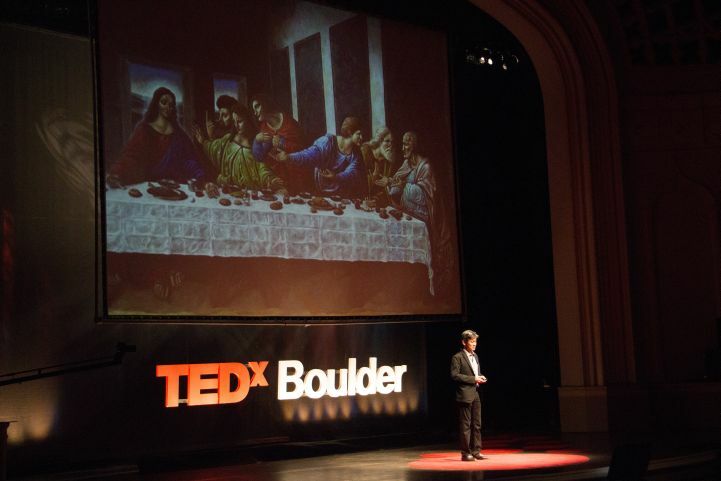 "Mastery through Leonardo da Vinci | Hikaru Miyakawa | TEDxBoulder "
What is mastery? What would it be for you to recreate a masterful piece of art? The history of art reflects the evolution of human consciousness. Prehistoric cave paintings and figurines show the consciousness of the people who were wishing to invoke power and certain qualities of nature in order to imbue themselves with such power and qualities. One can observe the similar invocation and the embodiment (imbuement) in the art/artifacts of Jōmon (縄文) era (14,500BC to about 300BC) in Japan. The art of Jōmon culture is filled with powerful imagination and fantasy, no less imaginative than its contemporary counterparts in the west. Well known teacher and artist Hikaru Hirata-Miyakawa will also share how this prehistoric Japanese culture has been influencing his art. An article about Hikaru in "Society Magazin"! An article about Hikaru is published in the Society Magazin in Austria. The magazine is embraced by the heads of the government/state, the diplomats, and the powerful members of the high society in Austria and beyond. It is from the page 106 to 108. The articles are usually written in German, but you can read this article in English. Please click on the link below to read the article (an online version)! Hikaru holding the Society Magazin! Hikaru works in both figurative and abstract styles. Hikaru's original artworks and the Giclee prints are available for purchase. He also accepts the painting commissions. For any inquiries, please use the contact form in the 'contact me' section. All the art images are Copyrighted by Hikaru Hirata - Miyakawa, and no part can be copied by any means without the author's permission.